There is no end to the latest fads, innovations and fashions in bathroom remodelling trends, design and decor. So how do you know what’s a good investment when remodelling your bathroom? Builderscrack.co.nz has a few ideas to help you have a contemporary bathroom with the latest bathroom trends without wasting money on fads or flops. Gone are the days of a plain white bathroom. Charcoal is the new black, synonymous with sophistication, but at the same time simple spaces. A blend of chocolate grey and green, it can be used in many ways; whether it’s the colour of the bathroom cabinets, the bath or the walls, it’s all up to you. There are many different types of tiles that can be used in a bathroom today – glass, porcelain, metal, stone and ceramic. Each material comes in a wide range of sizes and colours with a distinctive look. If you want to go all out for a really upscale luxury bathroom, custom order your own tile patterns. 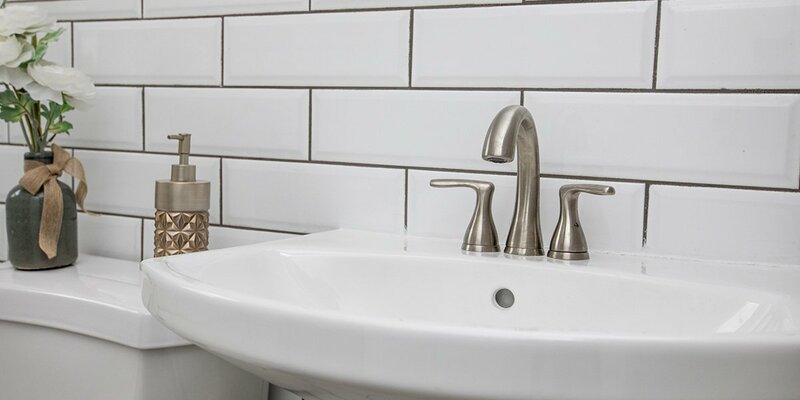 Use tiles to give your bathroom a total make-over using them as much or little as you like. Whether its accent tiles around the basin or a tiled shower area, your imagination is the limit. Having your own personal spa like retreat at home is a popular desire for bathroom remodelling jobs. 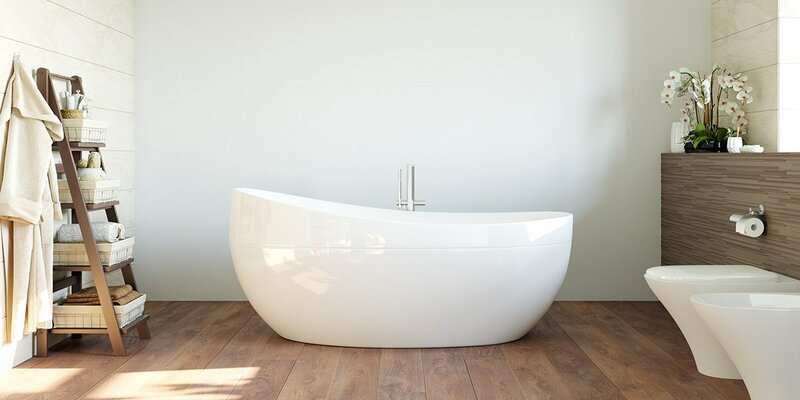 Remove your old boring bathtub and install a luxury whirlpool tub to soak and relax. Another option that’s proving really popular is an expanded walk-in shower with benches, dual shower heads and frameless glass doors. Alternatives to granite as the only luxury vanity top include travestine, quartz and Calacatta marble. On Demand hot water systems are another popular way to save energy as they only heat the water that you use rather than constantly having to keep a cylinder full of water hot. Having a green bathroom will save money on both energy and water bills as well as being good for the environment. Space saving storage such as custom in-built cabinets are replacing bulky cabinetry, while achieving an overall feeling of openness and space is becoming very important in bathrooms. Remember that while bold colours are in vogue, it’s often a good idea to select a more neutral shade for permanent areas such as walls and choose bright or bold colours for areas and items that can be updated without too much expense. You don’t want to spend a fortune on lime green tiles walls to realise later that you loathe them. 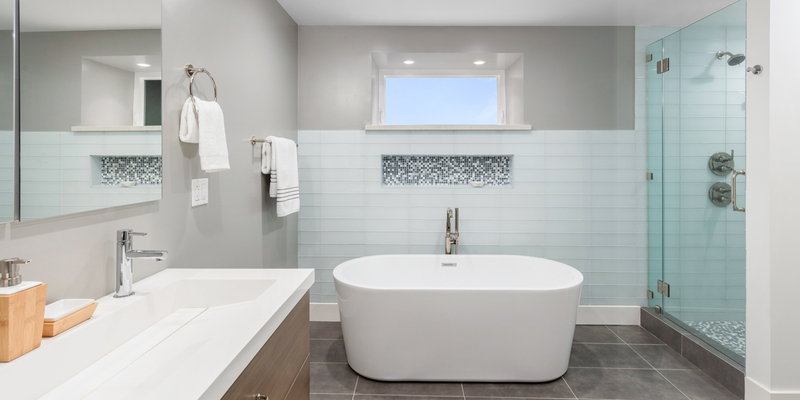 It’s a good idea to hire a design professional to advise you on options for creating your ideal bathroom space. In these days, granite tiles are widely in fashion because of there eye catching look and durability. I have also installed granite in my bathroom for the basin floor and wall surface and it have given a amazing look to my bathroom. There are wide range of texture and color for granite in the market. I installed it from the quarry http://www.kgq.com.au/directly to maintain the quality.